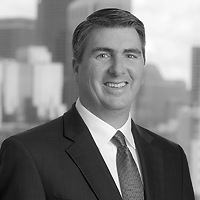 John Loughnane, a partner in Nutter’s Corporate and Transactions Department, will present on practical cybersecurity guidance at the American Bankruptcy Institute’s (ABI) 2019 Northeast Bankruptcy Conference & Northeast Consumer Forum. John’s panel, “Welcome to the New Age: Don’t Be Radioactive (or a Cybersecurity Victim),” will focus on explaining cybersecurity risks, data protection best practices, incident response planning, and ethical obligations. This plenary program will offer practical guidance for both personal and professional use on consumer or commercial issues.